Studer has introduced a new modular version of the successful OnAir 2500 Broadcast console for installation in custom studio furniture. 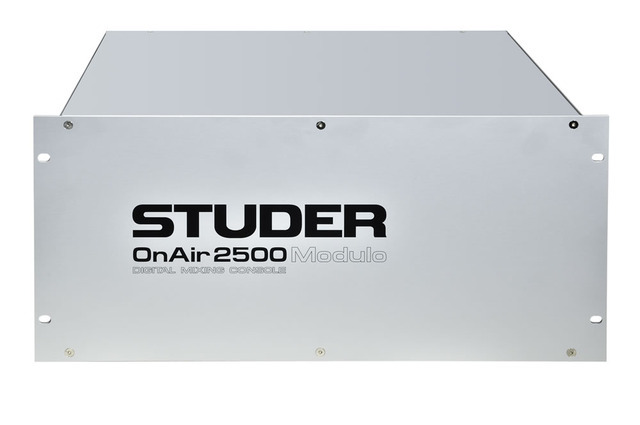 The new model, named the OnAir 2500 Modulo, has separate modules for fader bays and master section, along with a rack-mountable mainframe which houses the power supply and host processing. These modules can be recessed into a desktop for a clean installation with all cables integrated within the furniture and the mainframe hidden appropriately. 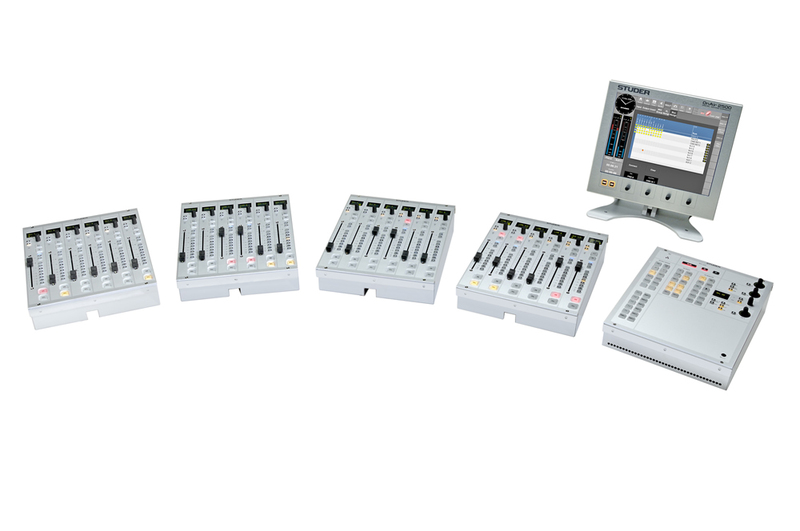 The OnAir 2500 Modulo was introduced after demand from the market for a recessable console. 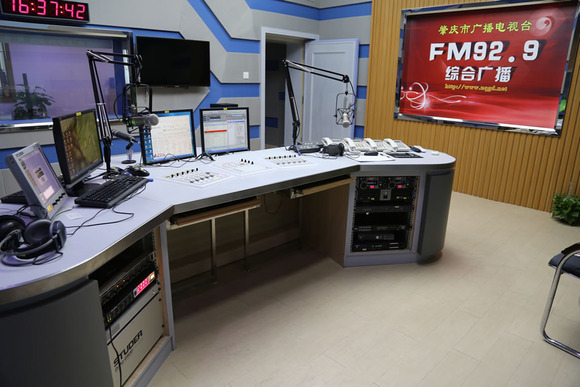 In Switzerland, a custom version of the OnAir 2500 console was built into a stunning desk at Radio 105 / Radio Monte Carlo, which changes colour when it is on-air, mics are live or off-air. 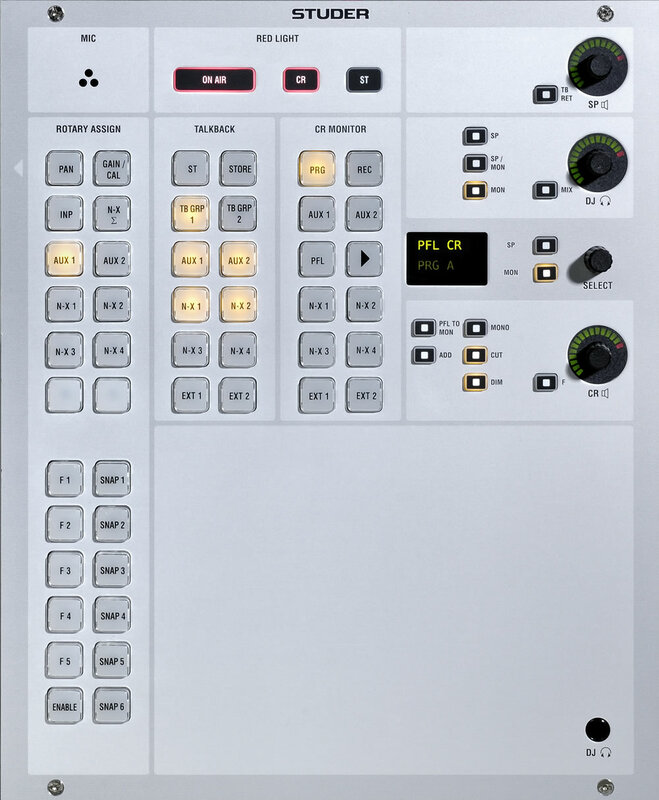 The OnAir 2500 digital all-in-one Broadcast console utilises well-established software technology derived from the highly acclaimed OnAir 3000 console to deliver a new standard in ease-of-use for Radio Broadcast. without the use of multi-level menus. The OnAir 2500 Series provides the user with a large number of inputs and outputs in many standard signal formats. 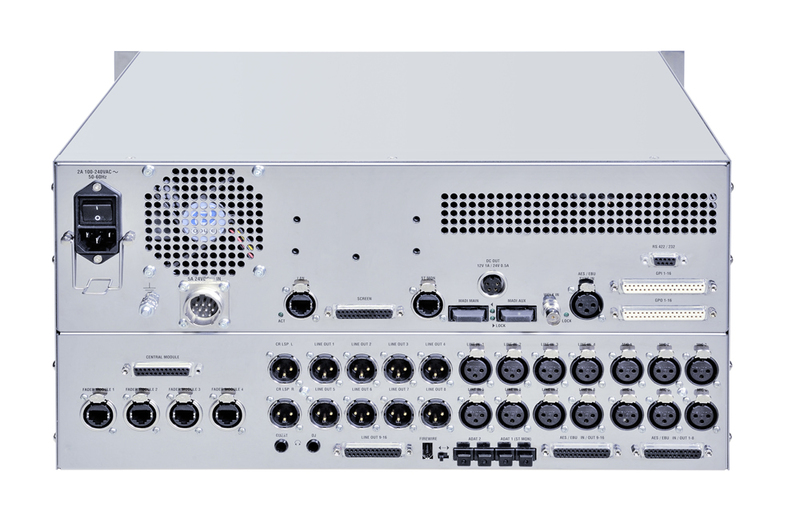 As well as interfaces on XLR and SUB-D outlets (microphone inputs, headphone outputs, line and AES I/Os), the internal audio system also offers interfaces to digital multichannel formats such as MADI, ADAT and IEEE 1394 Firewire. 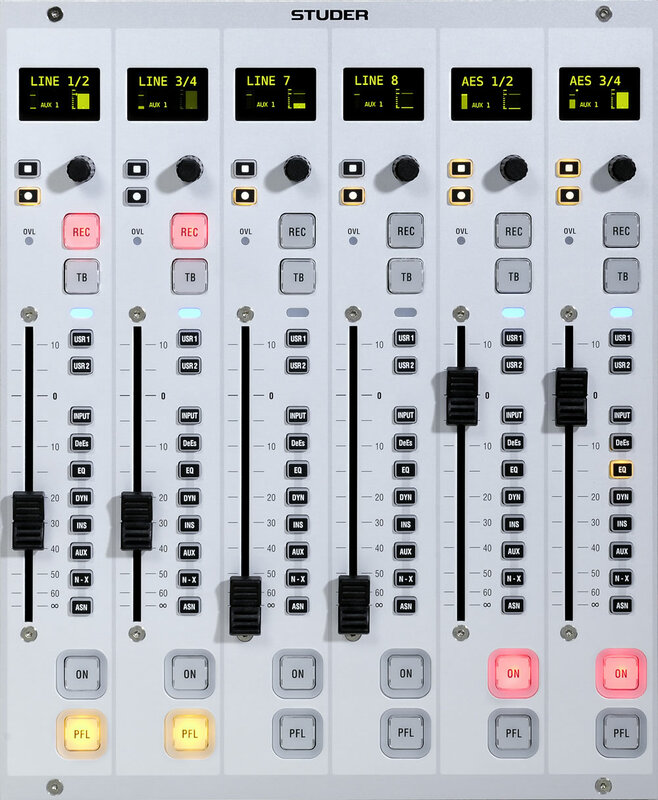 Three fixed-frame configurations with 12, 18 and 24 faders are also available, both variants having motorised channel faders available as an option.